Even though for the past few weeks nursing tops and leggings have been my most worn items of clothing, I have still been purchasing items for my winter Capsule Wardrobe. Now my wardrobe consists of neutrals and by that I mean greys and blacks so when I purchased this bright green number my family and friends were pretty shocked to see me in colour. I pretty much rely on black as I feel it can never really look wrong, it just makes your outfits look simple and minimal but also (sometimes) chic, so I have just stuck to that palette but after following Anna's Capsule Wardrobe journey via all her platforms I loved seeing her challenge herself last year to introduce some colour into her all black wardrobe. I adore Anna's style and was quick to explore what colours and shapes she brought into her Capsule and I'm not ashamed to admit that I copied down some of the pieces she bought. I didn't purchase the exact same items of clothing as her but I did try on items of the same colour and ended up loving them and most importantly feeling good and confident whilst wearing them. 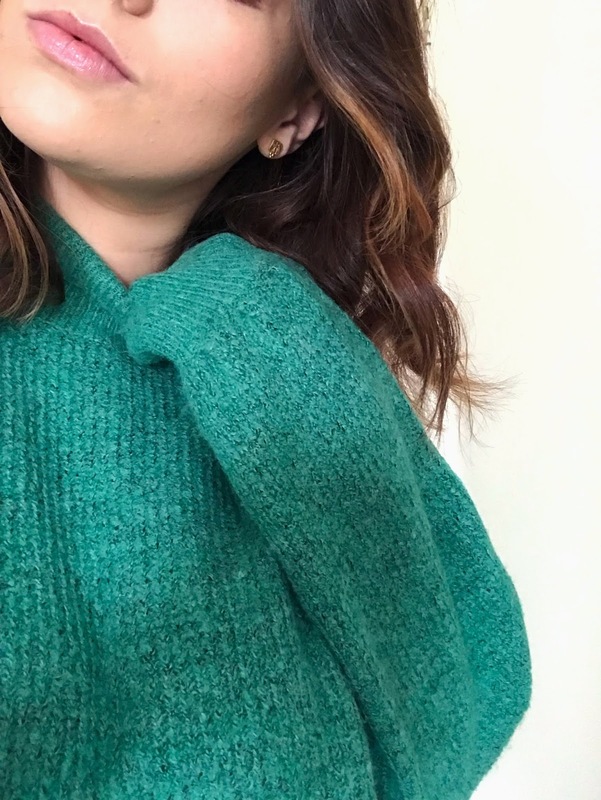 So far this soft green jumper with a slight roll neck has been my favourite. I have loved styling it with light denim jeans and my leopard print boots.